A team of scientists led by researchers from the University of Hawai'i at Mānoa Department of Botany has discovered two populations of a new species of leather mudweed or Avrainvillea erecta, a widespread tropical algae, which may pose a threat to Hawai'i's marine environments. Using both physical and genetic features of the seaweed, the team determined that the new arrival is most likely Avrainvillea erecta. However, much like the previous invader Avrainvillea amadelpha, the identification was challenging. "There has not been very much work done on this group of green algae, and it is very challenging because it is quite variable in how it presents itself," said doctoral student Rachael Wade, who is working on this group for her dissertation research. "As a result, it's difficult to conclusively identify these species until more thorough genetic work can be completed." 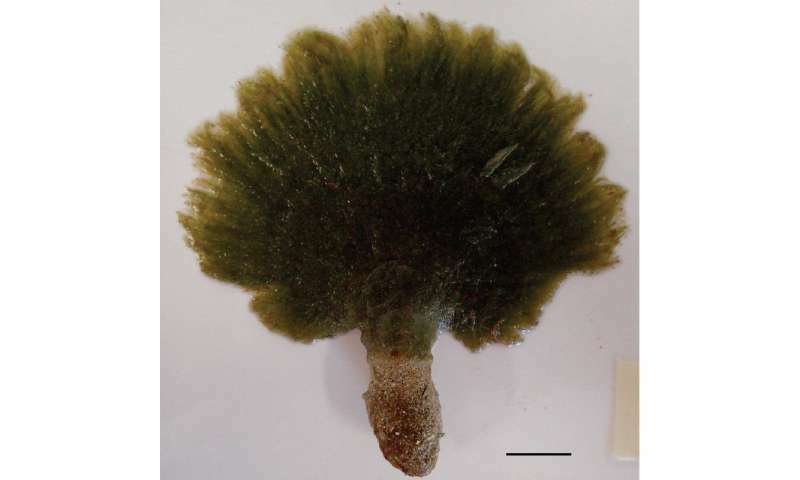 The mode of this algae's introduction is currently unknown. Given the close proximity of the two populations to urbanized estuaries and major seaports, the seaweed may have been introduced via regular boat traffic. It is also possible that the seaweed was introduced as debris following the 2011 Tōhoku earthquake and resulting tsunami. 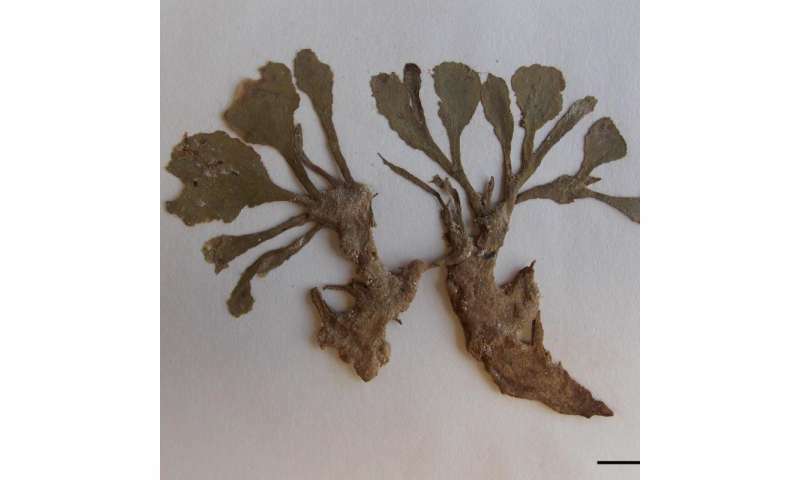 Regardless of the identification of both Avrainvillea species, these seaweeds are of concern due to their potential threat to Hawai'i's marine environments. 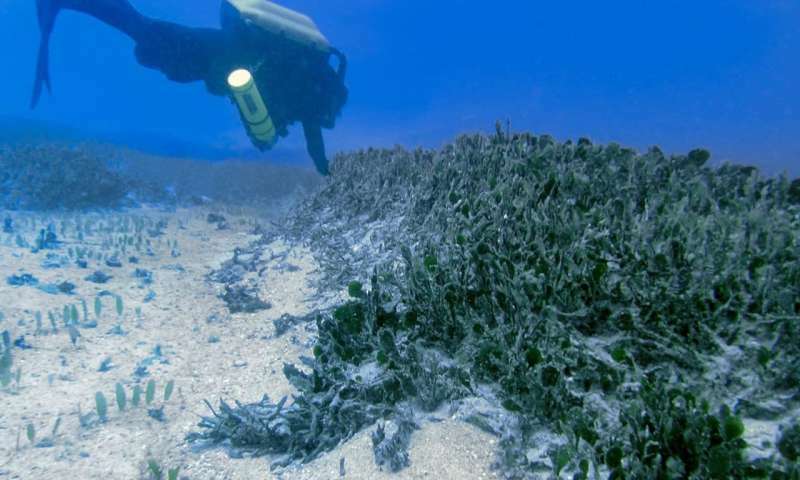 Avrainvillea amadelpha has overgrown shallow reefs in Maunalua Bay in East Honolulu and outcompeted seagrass meadows. While the impacts of Avrainvillea erecta are unknown and require further study, it may have similar competitive traits and may negatively impact Hawai'i's reefs. According to the researchers, the two species of algae are relatively easy to tell apart and identify in the water. Avrainvillea amadelpha often forms a patchy carpet on either rock or in sand with several spoon- or paddle-shaped blades per patch and is generally dark grayish or brownish green in color. In contrast, Avrainvillea erecta generally has one brilliant green, kidney-shaped blade and a long, conical holdfast and is only found in sandy habitats. 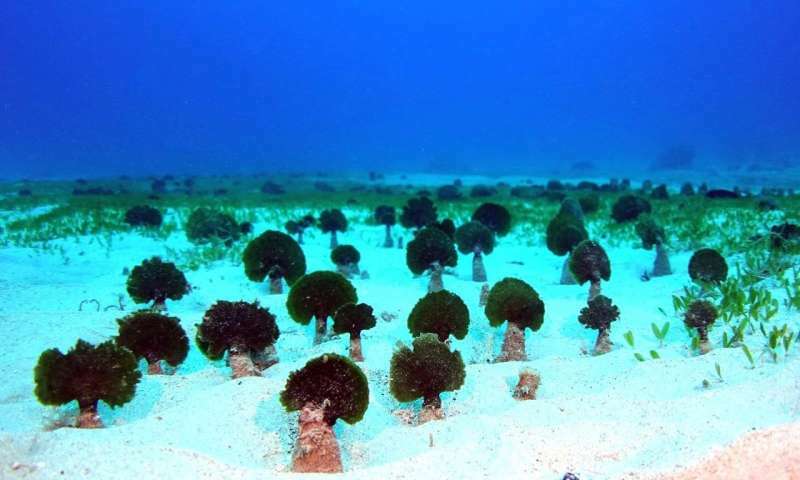 "We encourage everyone to keep an eye out for this new species as they spend time in the water," said UH Mānoa postdoctoral researcher Heather Spalding. "It's important that we continue to track this species as it spreads." On sighting either of these species of seaweed, please consider documenting a report through Eyes of the Reef and contact Rachael Wade at rmwade@hawaii.edu.